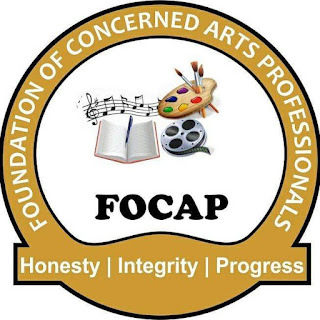 FOCAP, the premier and most authoritative Arts Advocacy and Pressure Group welcomes the collaboration between the Ghana Revenue Authority and the Ministry of Tourism Arts and Culture to engage the Creative Arts players about their tax obligations. FOCAP believes though it has been long overdue, we as an advocacy and pressure group believes the takeoff is a good way to go. Government has for some years tried to broaden the tax net of our country but always hits a rock when it comes to the Arts Industry. FOCAP believes that although tax is mandatory, it should be encouraged rather than enforced with education and not made punitive on the creative Arts. Taxation should be seen as a shared responsibility as Ghanaians, owing the duty to pay tax to enable the country and especially the Creative Arts sector develop and also demand from leadership what really is fair for the development of the Arts base on our contributions. FOCAP is however concerned about the road map to be used in this educational process and generally the procedure to be used to Tax players in the Arts Industry. We believe the Procedures, Calculations, Data Collection and Incentives should first be designed, circulated and that should form the bases of the sensitization for players to recommend changes and omissions. FOCAP as an advocacy believe the best practices should be use for the collection especially since we have so much structural problems, lack of data to even tell how many production houses, Musician, Sculptors, Actors, Actresses, Dancers, Designers, Instrumentalist etc are registered to be taxed and so on. One of the best solutions the Nigeria federal government has used and introduced since 2017 was the introduction of Voluntary Asset and Income declaration scheme (VAIDS). According to research; The Nigerian Voluntary Asset and Income Declaration Scheme (VAIDS) is a time-limited opportunity for taxpayers to regularize their tax status relating to previous tax periods and pay any taxes due. In exchange for fully and honestly declaring previously undisclosed assets and income, tax payers will benefit from forgiveness of overdue interest and penalties, and the assurance they do not face criminal prosecution for tax offences or tax investigations. *- education/seminars to educate and inform. FOCAP is urging the Ghana Revenue Authority and The Ministry of Tourism Arts and Culture to take the bull by the horn and fix the taxation problem so the Arts Industry can be structured and lucrative as it ought to be.